There's no doubt that Oakley has manufactured some of the coolest sunglasses known to mankind. With innovation hardwired into the company's DNA, Oakley has redefined the industry benchmark for high-performance eyewear. 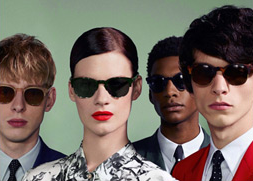 But where did it all start for the sunglasses brand with an utter distaste for conformity? To answer that question, we have to cast our minds all the way back to California, 1975. As with almost all businesses, the foundation of Oakley started with one brilliant idea from one inspired mind. In this case, that inspired mind belonged to one Jim Jannard. A self-confessed motorcycle nut, Jannard started the year of 1975 by selling motocross parts from the back of his car. However, after growing tired of peddling sub-par motocross handgrips, he decided to invest $300 into inventing 'The Oakley Grip'. Working from his garage, Jannard successfully created a unique orbicular-shaped handgrip, made from a new material, which revolutionised the motocross world. The material, which Jannard dubbed, Unobtainium, became a massive success because of its unusual quality of increasing the rider's grip with sweat. After enjoying sales success with the grip at motocross events, Jannard found the confidence to expand his product range. As a result, Jannard progressed to selling motocross goggles in his own designs by the end of the 1970s. Exhibiting the now legendary, Oakley O-Frame, Jannard's goggles were made from high-impact plastic that was more durable and lightweight than the traditional glass goggles used at the time. 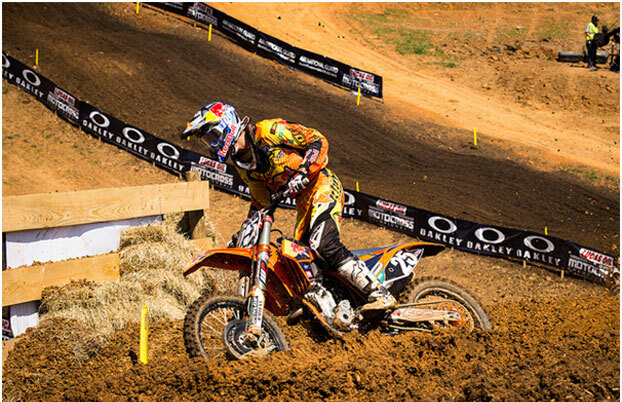 For this reason, the goggles were an instant hit with the notoriously demanding motocross community. By the early eighties, Oakley's O-Frame goggles had become a firm favourite with motocross superstars, such as Johnny O'Mara, Mark Barnett, Ricky Johnson and Jeff Ward. And for the next two decades, no competitor came close to rivalling Oakley's O-Frame goggles because of the unsurpassed impact protection and visual superiority they offered extreme sports enthusiasts. 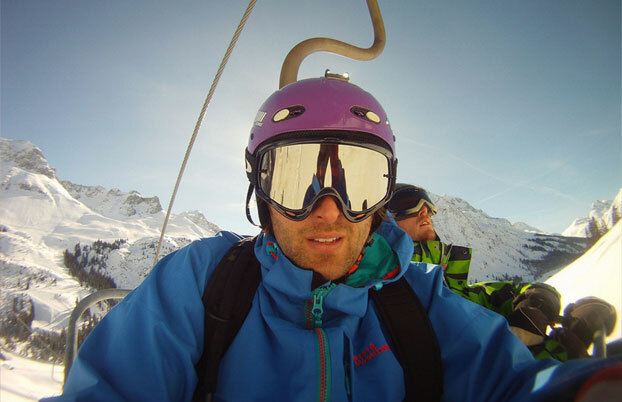 Buoyed by his success, in 1983, Jannard used the O-Frame as a basis for developing eyewear for skiers, which was a hybrid of goggles and sunglasses. Like their motocross equivalents, Oakley's ski goggles became a massive success, which encouraged the company into the sports sunglasses market. The first sunglasses that Oakley developed were the Factory Pilot Eyeshades, which adhered to the company's principles of innovation by being made from a new and almost unbreakable material, called Zytel. 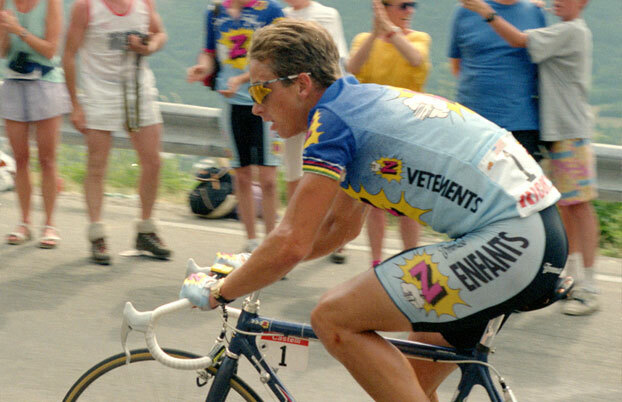 This encouraged the American cyclist, Greg LeMond, to approach Oakley for a pair of his own Eyeshades, which he wore at The Tour de France in 1986. Three years later, Oakley launched their iconic M-Frame sunglasses that quickly became the must-have eyewear for many of the world's top athletes. By the beginning of the 1990s, Oakley had become the market leader in the sports sunglasses market. Their success was undoubtedly helped by a host of athlete's endorsements. However, despite boasting many celebrity advocates, most of Oakley's endorsers were obtained with relatively little financial outlay. For example, Andre Agassi, a friend of Oakley founder, Jim Jannard, wore the brand's sunglasses for free. Whereas when the tennis megastar signed an endorsement contract with Nike, it cost the sportswear giant a reported $10 million per year. The nineties also saw Oakley continue to introduce new sunglasses that fitted into the brand's pioneering ethos. 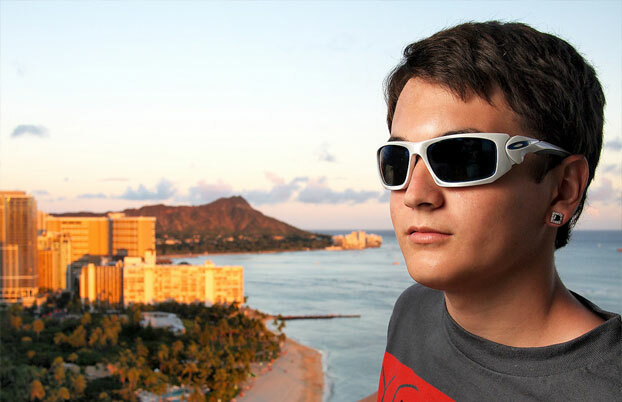 The first of these was the Blades brand, which featured interchangeable wraparound lenses that subsequently became one of Oakley's trademark styles. Next up, Oakley developed the Eye Jacket, which were the world's first sunglasses designed using computer aided design (CAD) technology. Other notable sunglasses introduced by Oakley during the decade include camouflage eyewear called Trenchcoats and X-Frames. After Nike entered the sports sunglasses market in the late nineties, arguably, Oakley had a serious rival in the sector for the very first time. Subsequently, the company found themselves slightly on the back foot at the turn of the millennium. 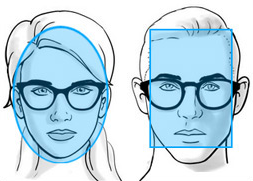 For Oakley, the solution to this problem was to expand and diversify further still. In 2001, Oakley purchased Iacon Inc. – the owner of 40 mall-based sunglasses stores – thus expanding the brand's already significant reach. In 2002, Oakley opened an office in Brazil to aid the distribution of the brand's sunglasses in South America. In 2004, Oakley signed a deal to manufacture eyewear for Fox Racing. 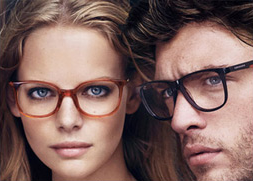 And then in 2006, Oakley purchased the high-end fashion eyewear company, The Oliver Peoples Group. Oakley's expansion efforts proved highly successful, resulting in increased sales and a return to the soaring profits enjoyed in years gone by. Subsequently, in 2007, James Jannard sold Oakley to the Italian eyewear giant, Luxottica, for $2.1 billion. When the deal went through, Oakley became one part of a portfolio that also boasts other hugely popular eyewear brands, such as Ray-Ban, Persol and Vogue. When 33 Chilean miners got trapped underground for a total of three weeks in 2010, Oakley used their sunglasses expertise to offer support. 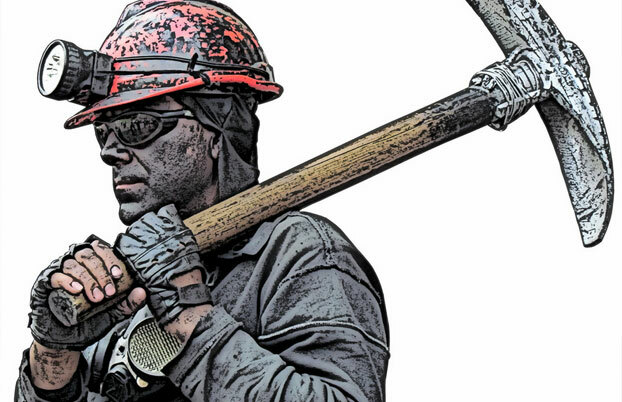 Upon the miners' rescue, Oakley was aware that their eyes, which had become accustomed to perpetual darkness, would require an extra level of protection from sunlight. Therefore, the company donated 35 pairs of their Radar sunglasses, which were fitted with specialist tints. In recent years, Oakley has continued to produce sunglasses adored by athletes. At the London 2012 Olympics, for example, huge numbers of competing athletes wore Oakley Radarlock sunglasses, which combined a lightweight frame with Plutonite lenses to deliver optimum sporting performance. According to Oakley, athletes wearing the brand's sunglasses won an astounding 107 medals at the Olympic Games, with thanks, in part, to their pioneering shades. Today, Oakley remains one of the largest manufacturers of sporting eyewear and accompanying apparel in the world. 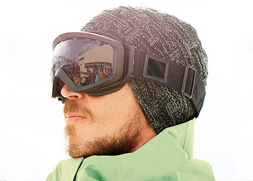 Drawing from their legacy of creating forward-thinking products, Oakley continues to produce innovative products. For this reason, the company will almost certainly continue to add to their list of over 600 patents to produce sunglasses that both the general public and world-class athletes will rely on for the finest sporting performance. To grab a pair of cutting-edge Oakley sunglasses at a price that won't break the bank, head over to the Discounted Sunglasses Oakley Collection now.